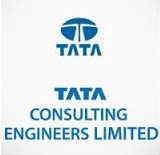 Tata Consulting Engineers TCE started recruitment freshers for various entry level positions in multiple locations. All the job hunter who is interested to get a job in Tata Consulting Engineers TCE can apply this off-campus recruitment drive online. This is a nice chance to start a career with a big brand company. Tata Consulting Engineers is a best-in-class integrated engineering consultancy solutions provider. TCE is distinct and distinguished in the engineering consultancy services domain.All Engineering Candidates from 2018,2017,2016,2015 Passout Batch who has completed Graduate Degree, B.E / B.Tech and Engineering degree from any recognized university, Institute are eligible for this interview.To get more Tata Consulting Engineers TCE job opening jobs news candidate also apply by filling online application form in Tata Consulting Engineers TCE website at www.tce.co.in. For a bright future, best salary and good working environment apply now this off-campus Drive now via www.freshers-job.com. Graduation in Engineering and Diploma Engineering. Engineering with Electrical, Electronics, Civil, Mechanical, Computer Science, IT Or other equivalent degrees in technical disciplines is required. Academic Result should be good at least 50% throughout a career.